Ottawa – Today, the City of Ottawa and TransitNEXT reached financial close on the Stage 2 Trillium Line south extension. This milestone was achieved following the execution of the transfer payment agreements with both the federal and provincial governments earlier this week, securing a total $2.366 billion contribution to Ottawa’s Stage 2 LRT Project. Stage 2 will extend the O-Train network farther south, east, and west, adding approximately 44 kilometres of new rail and 24 new stations. On March 6, Ottawa City Council approved TransitNEXT to design, build, finance and maintain the expanded Stage 2 Trillium Line and East-West Connectors to design, build and finance the Stage 2 Confederation Line east and west extensions. 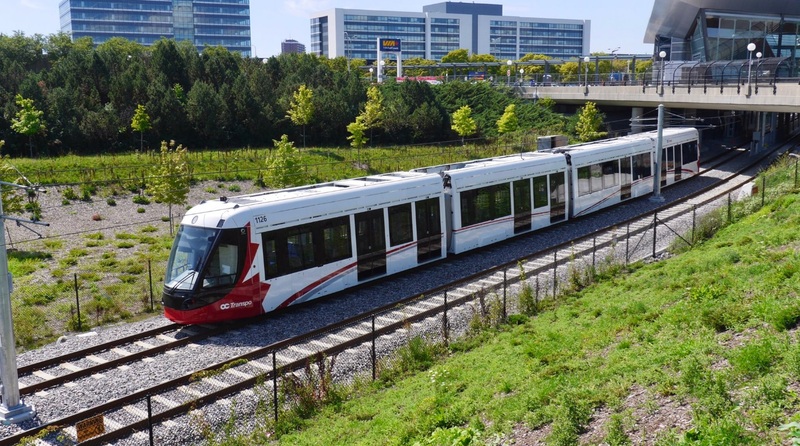 With formal confirmation of the financial contributions of both senior levels of government, the City has reached financial close for the Trillium Line extension and has entered into a project agreement with TransitNEXT, a wholly owned subsidiary of SNC-Lavalin, based on their submitted schedule and price. The City anticipates that it will reach financial close with East-West Connectors by the end of April 2019. The Stage 2 Trillium Line south extension will add 16 kilometres of new rail and eight new stations, extending the O-Train network farther south from Greenboro Station to Limebank Station, with a link to the Ottawa Macdonald-Cartier International Airport. TransitNEXT will also be responsible for upgrading the existing stations as well as maintenance for the existing infrastructure and rolling stock. The agreement with TransitNEXT for the Trillium Line Extension is a fixed-price contract worth $663 million, with SNC-Lavalin providing an additional $136 million in private capital contributions upfront. When including the long-term cost to maintain and rehabilitate both the existing Trillium Line and its new extension, the total project is valued at $1.6 billion. In reaching financial close, the City of Ottawa and TransitNEXT have signed all the project and financing agreements, which enable access to funding and project implementation. In the coming weeks, the contract will be posted on the accountability and transparency section of the City’s website, with appropriate redactions pursuant to MFIPPA and translation requirements. The TransitNEXT team will begin to mobilize on-site and start site preparatory work in the coming weeks. Construction is anticipated to be complete in 2022, with testing, commissioning and training carried out as segments are completed. When complete, Stage 2 will bring 77 per cent of Ottawa residents within five kilometres of fast, efficient, clean and reliable rail. The Stage 2 O-Train network will result in a fully grade-separated system that spans nearly 64 kilometres to include 41 stations, 85 vehicles and three maintenance and storage facilities.